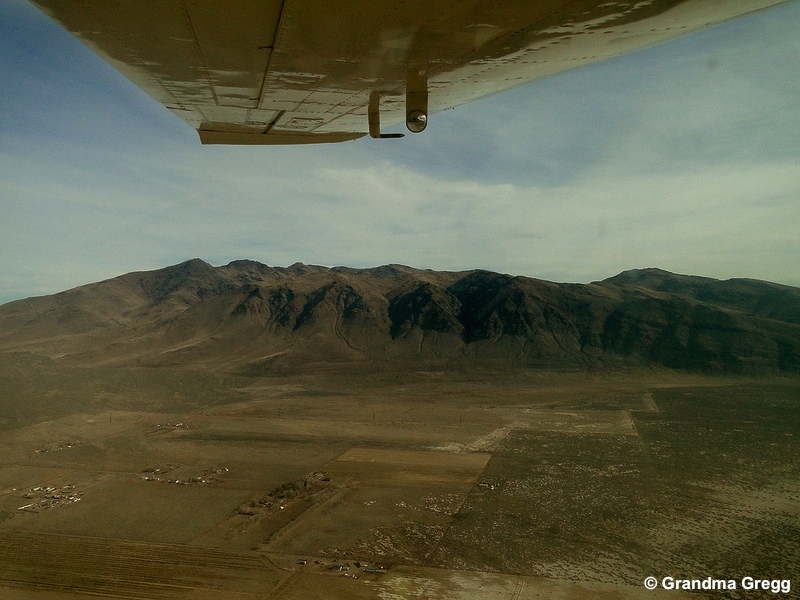 An independent aerial survey was completed over northeastern California and northwestern Nevada for the Twin Peaks Wild Horse and Burro Herd Management Area on December 22, 2014. The objective was to estimate the population of wild horses (Equus caballus) and burros (Equus asinus) and to monitor the habitat recovery from the Rush Fire, which burned 315,577 acres in August 2012. The flight and pilot were arranged and made possible through LightHawk. During the aerial survey a total of 62 horses and 11 burros were counted along the 174 miles of transect strips flown within the Twin Peaks Herd Management Area boundary. In addition, several groups of approximately 90 trespass cattle grazing on public land were documented in the no grazing restricted area from the 2012 Rush Fire. These were found in the south-western section of the Twin Peaks Grazing Allotment #00701 in the Skedaddle mountain range. 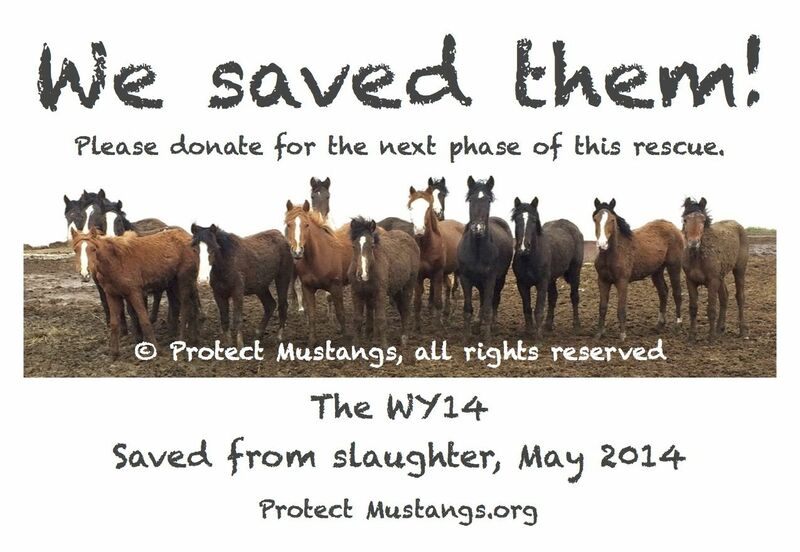 Please help the 14 orphaned wild horses in the next phase of this rescue. We need help to pay interstate transportation, get corral panels, hay, medical expenses, etc. We are a group of volunteers who will be donating our time to gentle these wild horses and prepare them for adoption so they can live happy lives. Your donation is urgent now. Please donate here. We also need land in the San Francisco Bay Area to house them and a used truck and gooseneck stock trailer. Need a tax deduction? We have a 501c3 that is our umbrella while ours is pending. We are a California nonprofit organization. We protect mustangs. 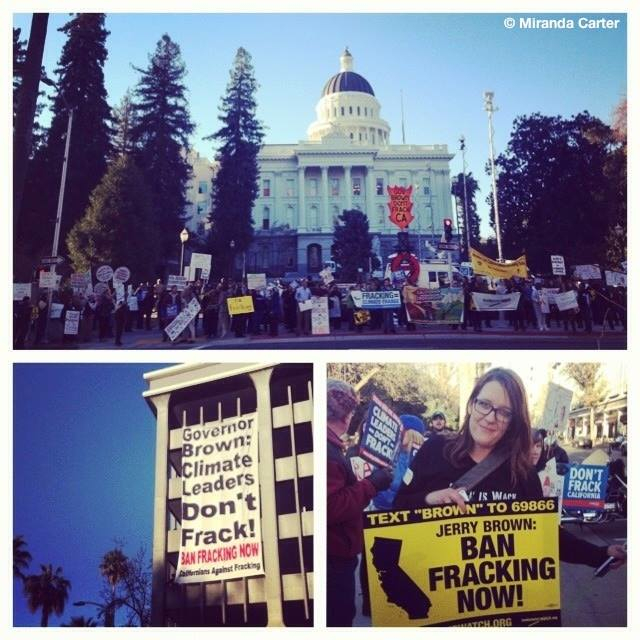 #DontFrackCA Join us today in Sacramento! TODAY’S THE DAY for the biggest Anti-Fracking rally in California’s history! THOUSANDS of Anti-Fracking Activists & Concerned Californians are making the trek to Sacramento to tell Governor Brown and his administration one thing: #DontFrackCA! We’ll be hearing from voices from all over the state who are witnessing fracking in their own communities and organizing against it. 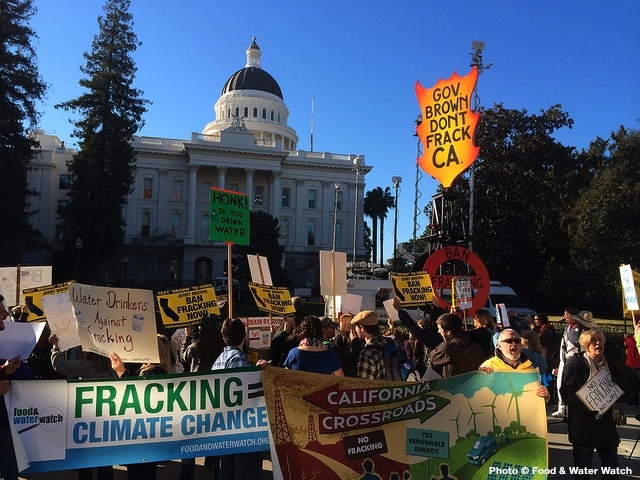 A broad coalition of groups have come together to demand an end to fracking in California. We hope to see you there & Bring your friends!! 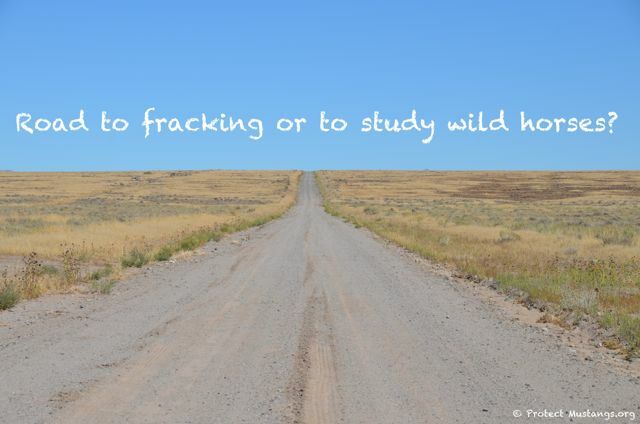 Don’t forget to TWEET (#DontFrackCA, #fracking) while you’re making history!! America’s wild horses are being pushed off public land to reduce environmental roadblocks to fracking as seen in GASLAND Part 2. Join us to say “No!” to fracking! We’re experiencing the worst drought in the history of CA. Communities are struggling to know where their water is coming from. And, what is the solution to the administration of Governor Brown? A call to the conservation of its citizens, not the big oil and gas. Join us TODAY in Sacramento to demand an end to #fracking in our state! If you can’t make it then Tweet and RT #DontFrackCA and share out the petition Don’t Frack Wild Horse Areas https://www.change.org/petitions/sen-dianne-feinstein-don-t-frack-wild-horse-areas Thank you! 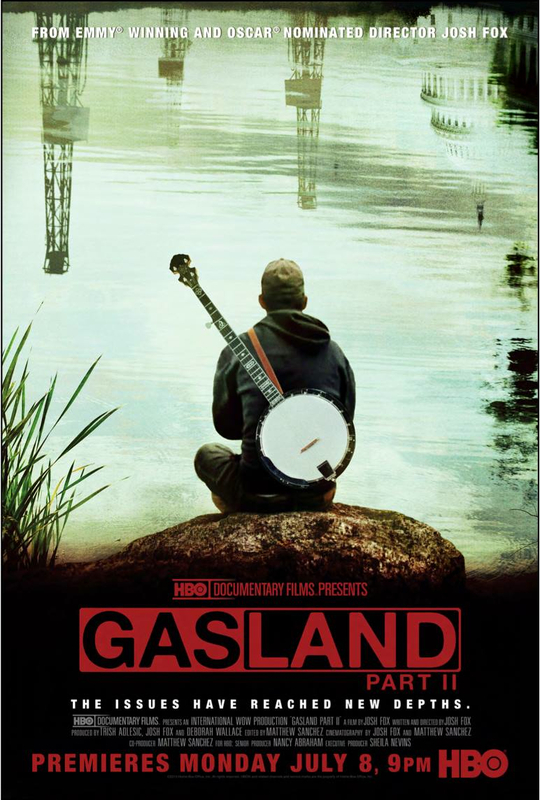 HBO released GASLAND Part 2 in 2013 to an audience of more than 40 million people. Since then the film’s audience has grown around the world. Today America’s wild horses are underpopulated. The Spin Dr.s have released a huge campaign to fool Congress and the public into believing there are too many when the truth is the feds are managing our native wild horses to extinction. Why? Follow the money and it leads you to Big Oil & Gas that wants to FRACK their native land and needs tons of water for fracking. Read the fine print, ask questions and beware of vague pledges people are asking your senators and representative to sign. 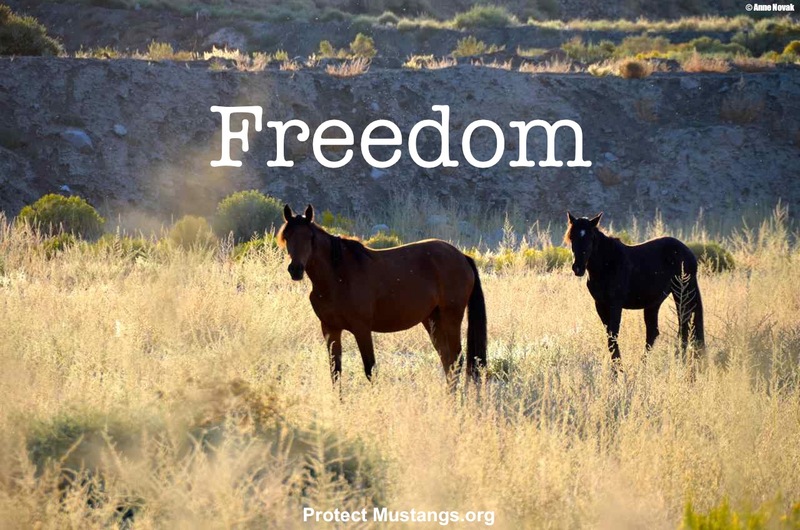 Certain wild horse groups aren’t fighting for the herds’ freedom any more but are pushing for fertility control experiments and sanctuary-style management with restricted use pesticides (PZP, etc.) branded as “birth control” and without scientific studies on population when wild horses are underpopulated and are being managed to extinction by the feds. 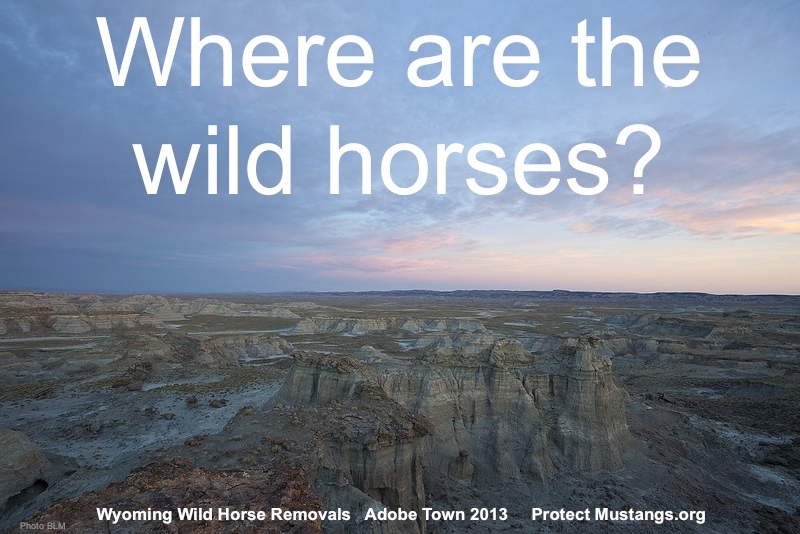 Petition: Don’t frack wild horse land! Sacramento, CA – In the wake of the driest recorded year in California’s history, concerned Californians submitted more than 100,000 public comments today denouncing Governor Brown’s proposed fracking regulations and urged him to ban the water-intensive drilling activity. At today’s event, Californians Against Fracking delivered boxes filled with tens of thousands of public comments to DOGGR while chanting, “Climate leaders don’t frack,” a clear message to Gov. Brown, whose legacy as a climate leader is on the line as he green-lights a massive expansion of fracking in the state. “In order to protect our water, farms, and public health from toxic contamination Governor Brown should ban fracking now,” said Adam Scow, California Director of Food & Water Watch. “The days of Big Oil calling the shots in Sacramento are over. Californians are rising up in record numbers to say no to these dangerous oil extraction techniques,” said Ross Hammond, Senior Campaigner, Friends of the Earth. “Governor Brown needs to make a choice. He can stand with thousands of Californians for a safe climate future and stop fracking up our state, or he can stand with Big Oil and for more droughts, wildfires and threatened communities,” said David Turnbull, Campaigns Director at Oil Change International. “If Governor Brown wants California to continue to hold its reputation as national leader in environmental standards, banning fracking should be a no brainer,” said Democracy for America Chair Jim Dean. “The Central Valley has some of the most impacted communities in California, who are a key part of the movement to stop fracking. Today, we’re showing our grassroots power,” says Valley Resident Juan Flores Organizer at Center on Race, Poverty & the Environment. Californians Against Fracking is a coalition of environmental, business, health, agriculture, climate, labor, environmental justice and political organizations working to win a statewide ban on fracking in California. Groups that participated in today’s delivery include CREDO, Food & Water Watch, Center for Biological Diversity, MoveOn.org Civic Action, Friends of the Earth, Center on Race, Poverty and the Environment, 350.org, Oil Change International, Greenpeace, Democracy for America, and 350 Bay Area. SAN FRANCISCO (January 14, 2014)— The San Francisco Board of Supervisors today approved a measure urging a halt to hydraulic fracturing in California because of fracking’s threats to the state’s air, water and efforts to fight dangerous climate change. The resolution, which was introduced by Supervisor David Chiu and passed unanimously, was applauded by 350 Bay Area, Center for Biological Diversity, CREDO, Food & Water Watch, Friends of the Earth and other members of Californians Against Fracking, a statewide coalition working to ban fracking, an inherently harmful form of oil and gas extraction that endangers California’s air, water, wildlife, climate and public health. San Francisco’s resolution follows an Associated Press investigation that confirmed cases of water contamination from oil and gas drilling in four other states where fracking has boomed. Other local jurisdictions in California have weighed in on the issue of fracking, calling for greater regulation, bans or moratoriums, including Marin County, Santa Cruz County, Ventura County and Santa Barbara County. Fracking uses huge volumes of water mixed with dangerous chemicals to blast open rock formations and release oil and gas. Fracking releases large amounts of methane, a dangerously potent greenhouse gas. The controversial technique has been used in hundreds and perhaps thousands of California oil and gas wells without regulation. Rules recently proposed by state officials would do little to safeguard California’s air, water, wildlife and public health from the pollution generated by this inherently dangerous technique. Oil companies are gearing up to frack large reservoirs of unconventional shale oil in the Monterey Shale. The area is home to some of the state’s most productive farmland, critical water sources, important wildlife habitat and dozens of towns and cities from the Salinas Valley to the Los Angeles Basin. In the past 30 days, the Ridgecrest Regional Wild Horse and Burro Corrals have reported 15 horse fatalities that appear to be related to a single undetermined cause. The Bureau of Land Management is working closely with state and federal animal health authorities along with a local veterinarian to determine the cause and decide the best course of action to protect the health and well-being of the wild horses and burros at the Ridgecrest Corrals. At this time, the cause of the deaths does not appear to be contagious. The California Animal Health and Food Safety Laboratory in San Bernardino is testing samples from affected animals and feed supplies. Results are still pending. A wild horse and burro adoption planned for December has been cancelled and no animals have been adopted since October. Animals are not being received or shipped from the facility. The Ridgecrest Corrals have approximately 800 wild horses and burros. In September, Brown signed SB 4, a bill by state Sen. Fran Pavley, D-Agoura Hills, that requires companies that conduct fracking operations in California to notify all nearby property owners, obtain a permit from the state, conduct groundwater testing and disclose the chemicals they are using. The law takes effect in 2015. Opponents say that water pollution and increased air and climate emissions from fracking require a moratorium, particularly in the Monterey Shale, an area that stretches from Bakersfield to Monterey and holds billions of dollars of shale oil that could be recovered from increased fracking.